The crisp air is here and it feels amazing! Found this picture of an arrangement I did one year for my annual fall brunch. Thought it would get you inspired to get out your fall decor. Remember not to overdo it. Make it clean and classy - less is more! I'll post some pictures of my decor once I get it out. I've set a date for my fall brunch. It always get me motivated and excited about filling my home with great friends, good food and a roaring fire. Here are a few arrangements that I thought were beautiful. Captured photo's so you could see. Even if you just add one arrangement to your entry, master bedroom, guest bathroom that is wonderful. It doesn't have to be over the top. In fact, I like it when fall decor isn't a bunch of little stuff. Challenge yourself to put one fall item in each room. Again, large in scale or something that really makes a statement like your mantel or coffee table. When choosing your arrangements, thing about colors that can carry you through the fall and Christmas season. 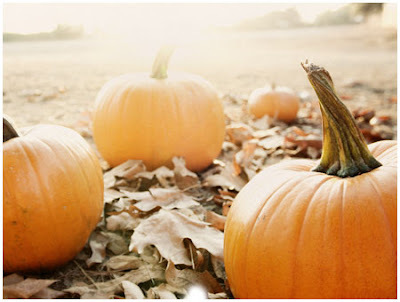 To make it work for all seasons just place pumpkins, leaves, gourds, etc. around it so it makes it feel like that season. When it's Christmas, take away the fall decor around it and add Christmas ornaments. Love, love the colors of this arrangement. Also the placement of the elements are gorgeous. My kitchen buffet last year. To the right was a large bowl filled with dry pinto beans and then pumpkins were placed on top. Made all the colors work together. Add a few burnt orange fall leaves to this glass vase along with what's already there and you've got something beautiful. Place a few outside the glass too. Do the unexpected this year. You'll have fun with it!